Lapel enamel pin badge with butterfly clutch fastening. 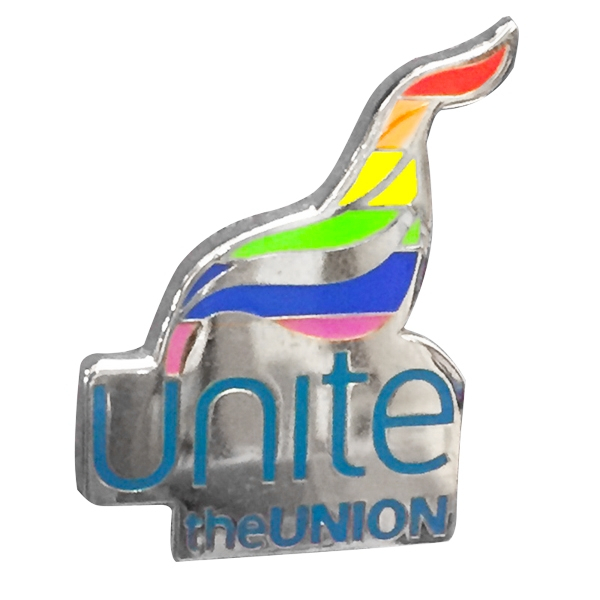 New Enamelled Badge - Metal Background. Printed 8 Colours.